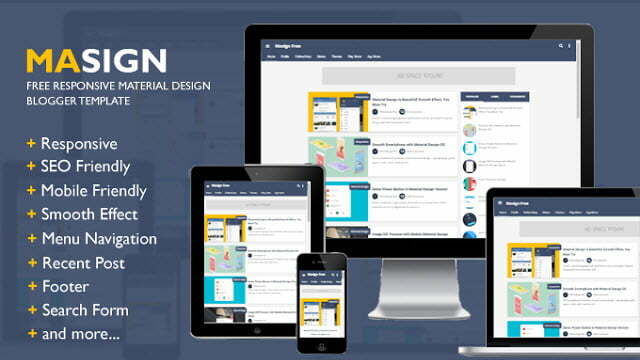 Now Material Design is getting much popularity in the Website industry over the world. 100s of WordPress themes are built using Google’s own Material Design principle and a lot of websites are using Material Design themes. Material Design Templates are used by a lot of websites and Blog, why? It’s all because of the way Material Design Templates looks good than any other Templates or Themes. Material Design, Material Design, Material Design everywhere.The majority of you may be using an Android Device, If yes, then probably you know what is Material Design. Recently, Google started applying this Material Design principle to their Products. Now Google Plus, AdSense, etc Dashboard is using the Material Design. Currently what Google Plus is using is exactly what we call Material Design. When you tap on any option you will see some bubble like things visible, these all are part of Material Design principle. Now, you got basic Idea about Material Design, right? You are here to find Best Blogger Templates that work with Material Design Principle. All the templates mentioned below are Material Design Blogger Templates and they are free to use. Some of them come in Premium Version as well. If you don’t have money to pay then you can use their basic free version itself. The free version is also having tons of features that no other Blogger Templates have. 1.0.1 But Wait! Why only WordPress? But Wait! Why only WordPress? Creating a Material Design Theme for WordPress is somewhat easy when comparing with Blogger.We all know that Blogger has a lot of restrictions and lack of features when comparing to WordPress.So, Developing a Theme based on Material Design Principle for Blogger is a great tough task. But still, there are many developers who are working on Material Design principle and is working hard for Creating new themes/templates with more features. Now, after doing some research, I myself had created a list of Templates for Blogger/Blogspot which is designed using Material Design principle. Now go through it, and pick one for your blog and start using it today. 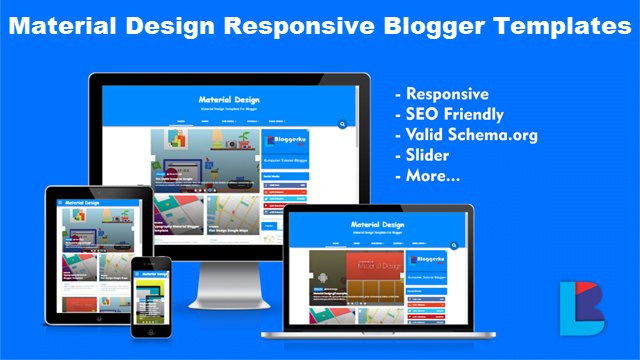 Material Design Responsive Blogger Template is one of the best Template for Blogger designed with Material Design principle.This theme is idle for Tech and Magazine based Blogs.Packed with High-Quality features and Easy to use Customization this theme suits for almost all Blogs. Masign is a responsive material design blogger template idle for almost all blog.This is one of the simple and handy Blogger templates that comes along with the Material Design Principle.Easy to use Admin panel and layout option makes it easier to arrange widgets. 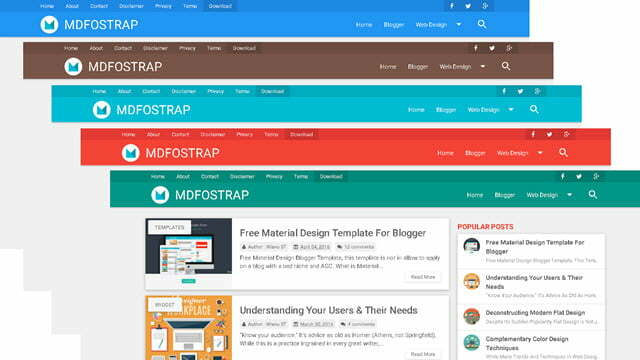 MDFOSTRAP is beautifully designed Blogger Template, which will be best for every Tech and Gadget niche based blog.Material design principle touch gives users a good mood to surf around the web page.Along with this features, the templates come with the featured post, email subscription, social counter, etc widgets. Materiality is one of the best and premium piece of the theme in this category. Admin of BloggerHero has designed this templates with lots of preloaded features.The awesome material design principle used in this template is outstanding is perfect for almost all magazine styled and tech blogs.The theme comes with a wide variety of color variants to choose from.The footer column is another highlighted part of this template. 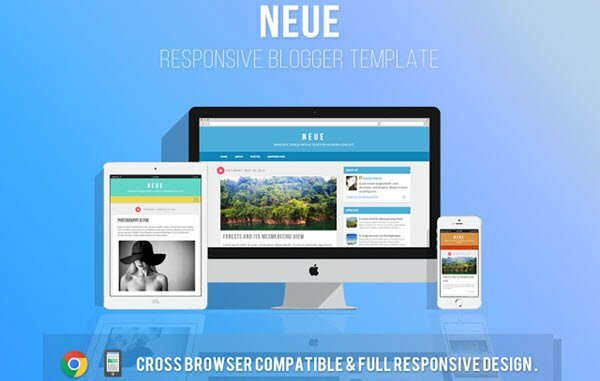 Neue is a simple blogger template with good and interesting features.Again this theme too comes with many built-in widgets and samples.Whoever wants simple blogger template without much complexity, then this template will be perfect. 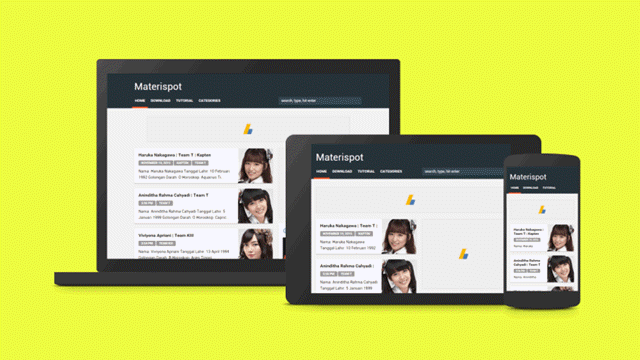 Materispot is another simple Blogger template based on a material design like Neue.This template is also a simple and is idle for all those who want a complete simple template with Material Design touch in it. I hope you guys found this awesome list of Material Design Blogger Templates useful. All the templates mentioned above is completely FREE except one template.Materiality template mentioned above is a premium theme and it has all features you except it should have.It’s actually worth for the amount you pay. But, if you don’t have enough money to invest for Blogger Templates then you can use their Free Version which has al the features you want. There are only very few developers create Material Design Blogger Templates, so finding them is too hard. 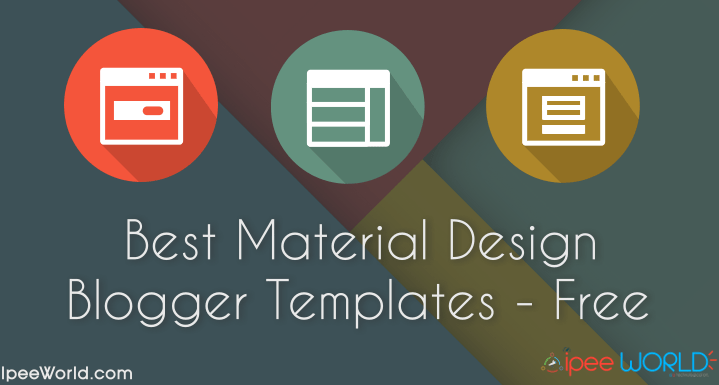 I managed to list all the Material Design Blogger Templates that I could find myself. Whoever wants a highly premium Blogger Template with Material Design Principle in each and every nook and corner of the Template then I would recommend you Materiality Blogger Template as it has everything your blog need. Best Blogger Templates that work with Material Design Principle. Top 10+ Free Material Design Blogger Templates. 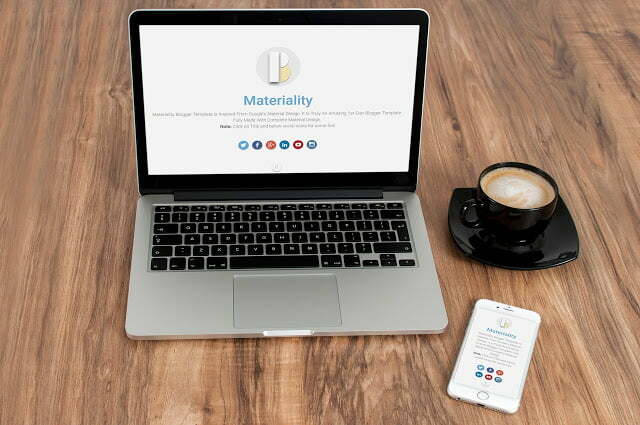 Material Design Templates for Blogs and Websites for free with DDirect Download links. I want 2nd and 3rd template. Try to click on download button it shows. May be this file is not public. please check this. So please send me a material design responsive blogger template to my email ID please help me ..
error says that the owner not granted permission to download. so, please kindly check your sharing permission again. All download link has been replaced with new Links. Bro. It’s Best ever Template For Blogger. Please Give Us Working Download Link For Template Number 4.Materiality. Download links not working please fix this problem. Do you also have recommended for wordpress?